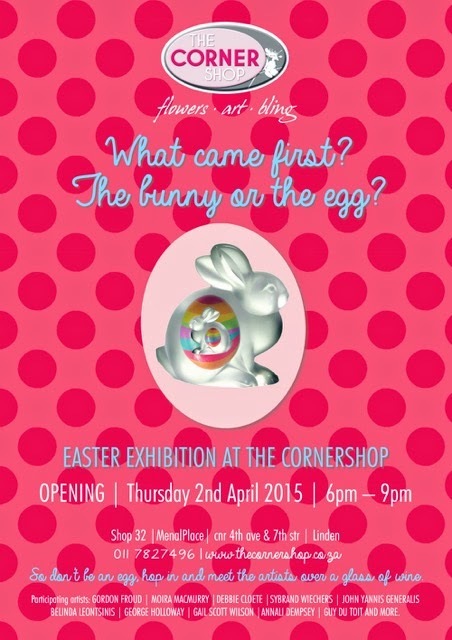 Join The Corner Shop in Linden on Thursday 2 April 2015 for the opening night of their Easter Art exhibition. 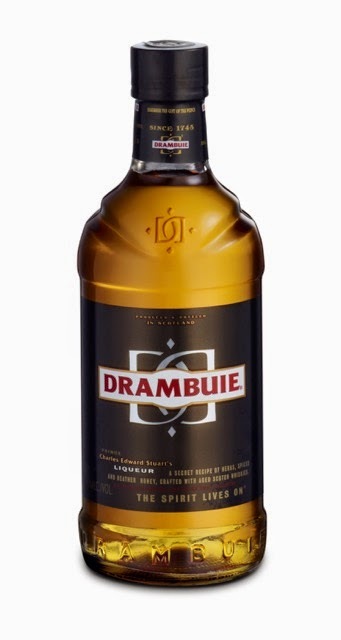 Enjoy a Drambuie drink while browsing the artwork on display. The Corner Shop Linden is a meeting place for creative people. A destination shop in Linden where you can find amazing yet affordable artwork, quirky objects and contemporary home and giftware. The Corner Shop is a platform for well-known and upcoming artists to produce accessible editions of their work, you wouldn’t find in main stream galleries. This Easter we have asked artists to create artworks related to our Easter theme - What came first? The bunny or the egg? Artists were given the option to use a ceramic bunny and/or an ostrich egg to create their artworks with. They were given free range to create two- or three dimensional artworks using any material. You will get to see amazing artworks by artists like Sybrandt Wiechers, Debbie Cloete, Gordon Froud, Yannis John Generalis, Belinda Leontsinis, David and Carolyn Batzofin, Mandi Friedman, Moira MacMurray, Izanne Wild, Marina Louw, Retha Buitendach, Sally Rumball, George and Janine Holloway.